On January 3, 1959 Alaska became the 49th state to enter the Union. Alaska's was the first new star added to the flag in 47 years. 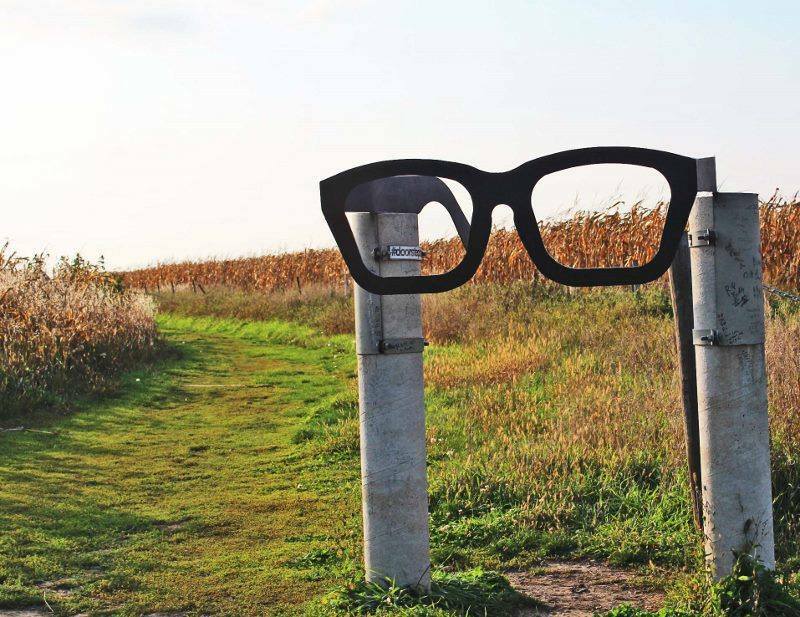 One month later, on February 3, the music world lost three stars when a chartered plane transporting musicians Buddy Holly, Ritchie Valens and The Big Bopper crashed near Clear Lake, Iowa, killing all three along with their young pilot Roger Peterson. This year will be the 60th anniversary of that event, and with each passing year new stories emerge. I reached out to Mike Tefft, a friend and long time resident of Clear Lake who shared with me some of his insights about the crash. Locally, Jerry Dwyer, owner of the charter service out of Mason City airport (Mason City named because of FFA funding and their larger population base, although the airport is just a couple of miles from the Surf Ballroom in Clear Lake) defended the pilot's ability to his dying day, literally. 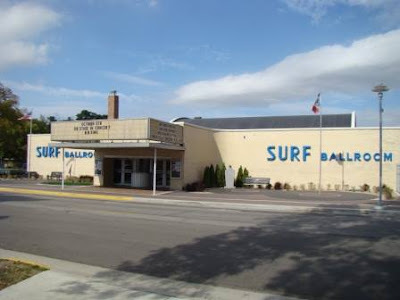 Jerry was working on an exposé-type book about the flight and crash that included some inside analysis of possible violence during the flight that included Buddy Holly's pistol that had two empty chambers. Tefft states that this story is rumored about town but has never been read since Mr. Dwyer died before he could publish. He also claimed that the weather was not like the news had widely claimed. He was also successful in winning a lawsuit against him. 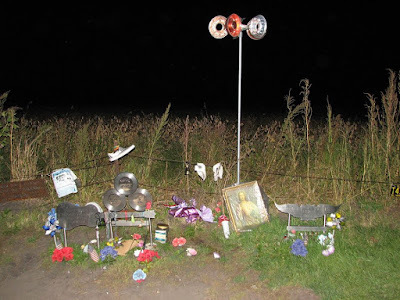 There also seemed to be some question about why the Big Bopper's body was on the north side of the fence and oriented differently than the other three...as if he might have, briefly, walked away from the crash site before he died. I had met Mr. Dwyer several times through casual encounters about town and local school events. By the way Mr. Dwyer had kept most of the wreckage that is now owned by his wife, who just happens to be working with a ghost writer to finished her husband's book. He always seemed friendly and he and his family had a good reputation about town and in the area. Here's an article in the Des Moines Register archives about Mr. Dwyer. 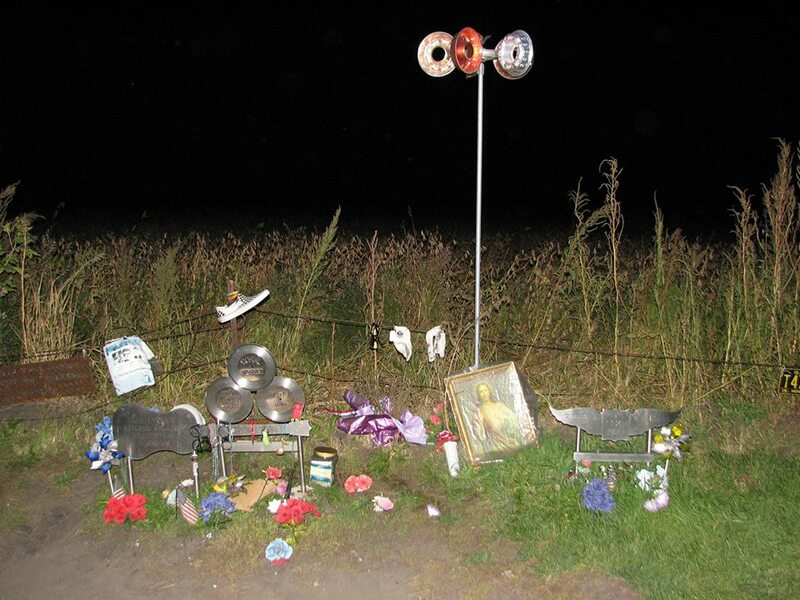 You can see photos of the crash site and learn more in this Des Moines Register story: RIP Jerry Dwyer, a man haunted by the Buddy Holly crash. Purportedly Mr. Dwyer's wife is attempting to finish the book project and tell another side of the story about what happened that night. Another book with still more untold stories is scheduled to come out later this year. Louis Kemp, a boyhood friend from Bobby Zimmerman's Camp Herzl days, hopes to see the book released late this summer. 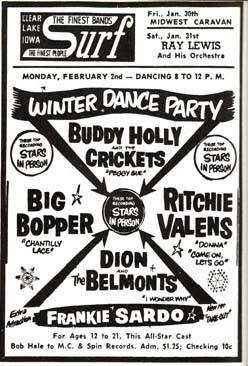 One chapter, titled "Oh Boy," is devoted to the impact of the Winter Dance Party and Buddy Holly's visit to the Historic Duluth Armory. In the back of my mind I'd often wondered who Bob was accompanied by that night. I couldn't imagine him just going by himself. Sure enough, I just learned he was with his friend Louis Kemp. We often hear that it was a cold one, 20 below zero. But temps get colder than the thermometer reading. According to Kemp it was minus 44 when you add the wind chill factor. I asked what it was like to learn a couple days later that these men were killed in a plane crash. "I was in study hall at Duluth Central when the news was circulated." It was a shock. Other than the Buddy Holly shot, the photos on this page were submitted courtesy Mike Tefft who also included this personal story, a Blood Moon remembrance. 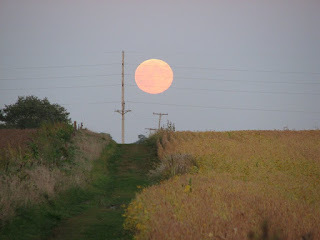 On a trip out to the crash site during a Blood Moon a few years back I spent several hours out there just meditating and taking an occasional photo. A couple of eerie (to me) things happened. After sunset and soon after I had paid respectful tribute, African style, by pouring a fifth of Tequila onto the ground at the memorial. A small aircraft was passing in the near distance and then circled in closer. The hairs stood up on the back of neck as I realized it was on a similar approach and height as the hired Beechcraft that had crashed. Of course, the plane circled away and continued its filed flight plan but definitely had me going. Nothing else of note, besides the spectacular moon, happened... until I was leaving. I paid my final respects for this visit to each of the dead and then collected all of my equipment and had the tripod in place on my shoulder and then started down the trail. Almost immediately I had a strong sense that I was being followed... closely! I paused several times and carefully looked around, as best I could in the fading light of the Blood Moon, and saw nothing but the sensation of being followed didn't go away. 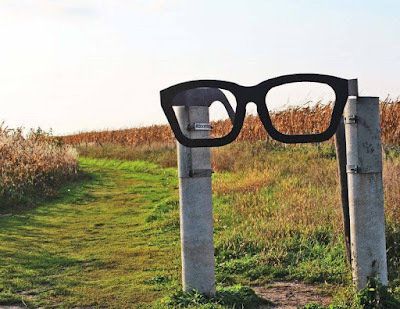 When I approached the gravel road near the large Buddy Holly glasses memorial and trail signpost the feeling of being followed disappeared. This had not happened before the night of the Blood Moon or since on any of my visits to the site. Mason City Airport, aerial view, courtesy Mike Tefft. Tonight, from around 10:00 p.m. till early Monday around 2:30 there will be a total lunar eclipse as the earth passes between the moon and the sun. Depending on how clear the night skies are, millions of people in North and South America will have a prime view of this event. At a certain point the full moon will become fully tinted with the red-orange color of sunset, hence the nickname Blood Moon. In our age of audacious headlining, some are now calling it a Super Wolf Blood Moon. Last year, if you recall (which you may not) we had two full moons in January, the latter being a Blue Moon which coincidentally was also a lunar eclipse event. Tonight's Blood Moon total eclipse will be the last we'll experience here for 18 years. 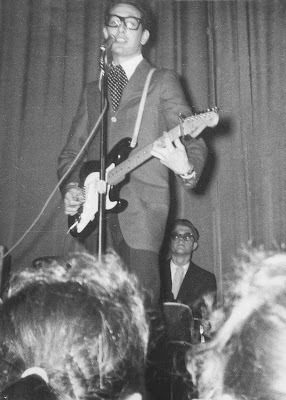 How this event led to the start of Bobby Vee's career. AP story about Bobby Vee's passing in 2016 with still more details of his start.